Get more out of your commercial fleet. Whether you need new vans, trucks or equipment, we help ensure your fleet is fit for purpose, profitable and productive. Get the right vehicles for the job at hand. Take advantage of our vehicle selection and build specification expertise to design solutions for your commercial needs. Working in tandem with your business, our dedicated experts will tailor a solution for your needs. Using our proprietary tools and expertise to optimise your fleet, you could maximise operational uptime, and reduce costs and risk. Get expert support every step of the way. We assign a dedicated account manager with a team of ground support staff to help guide your business at every step from consultation, build specification to disposal. Prepare your business for any challenge with our range of commercial leasing solutions. Choose from a range of flexible options, such as specifically tailored, fully-maintained or non-maintained operating lease. Get total visibility on how your fleet is performing in areas of cost, efficiency and savings with timely, accurate reports. 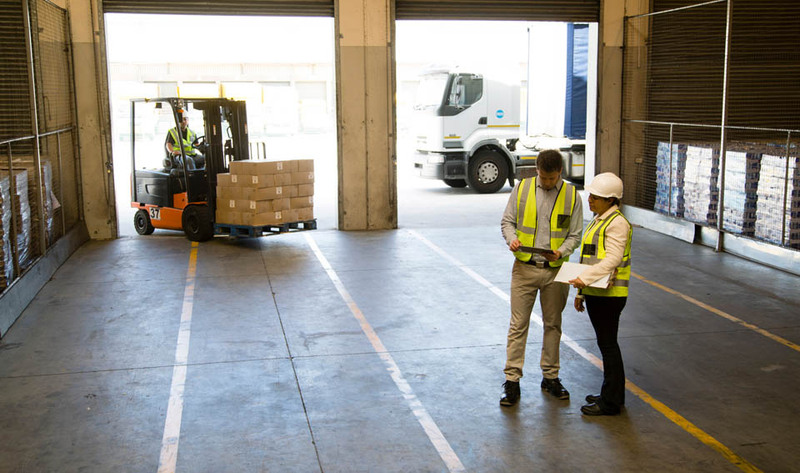 We conduct random onsite asset inspections as part of our ongoing fleet audit service. Once your fleet’s on the road, we work with you to ensure maintenance requirements are met. OneCall enables simple services requests via phone or online for all necessary services with our quality, approved providers. We can organise comprehensive insurance quotes on your behalf. Keep your fleet moving with 24/7 emergency breakdown assistance that reduces downtime and inconvenience. Your drivers will be back on the road in no time with immediate accident management support 24/7. Save time on managing, processing and distributing registrations, fines and toll payments to your drivers. We can do it all on your behalf. Transfer a vehicle to anywhere in Australia. You could reduce accidents, insurance costs and increase the safety of your drivers through driver skill and vehicle handling training. If you’re looking for quality used assets, access our large range of well maintained, ex-lease vehicles at competitive prices. Need a vehicle straight away? Organise a short term rental for your immediate or temporary needs. 'Made to order' or off the shelf, we are specialists in Commercial vehicles from utes to trucks and everything in between.